Perception plays a key role in our lives, more so when you’re a parent. Once you have a little one of your own in the world you become the most protective person ever, you will find in you power like never before, there’s more fight in you, you are more spirited than ever. All this reaches it’s peak when your child is sent into a new world- the school. Parents are concerned about so many things, it’s almost like our kids are not human. What has come into the world is another unique being, with unique talents, a unique personality, comparison kills this child. This is exactly what I want to discuss today, it’s not all black and white, and it will never be. When in school the child experiences things he never has, a lot affects his thoughts and actions. Every parent will experience the complaints from school, and while some of it may appear absurd and may very well be, it’s no reason to lose your sanity. Stressing too much, or too less is bad. With every issue or probable issue it’s good to seek help, there’s nothing wrong with it. Seek advice from the school counselor, always be open to figuring out solutions instead of quarreling with a teacher, in the end the aim is your childs happiness. Now I know not all schools are this altruistic, and while some teachers appear meaner than others, they’re all human! Point number one; research online, pick the school that best suits your childs personality not your expectations or idea of “good”. If you’ve realised that your child is not in the right school, don’t hesitate to take him out, trust me even a year at the right school can do wonders for your childs self-esteem. The right school will bring out the childs talents, and help in his overall development. Emotional health plays a crucial role in development, especially in adolescent children. Make sure your child makes plenty of good friends whom he can share life with not just a few hours each day at school. Point number two; if there are constant complaints regarding your childs scholastic performance, or beahaviour go for a simple educational assessment, DAAP has a good one. This assessment will help everyone including the school understand exactly what the issue is (if there is any), and once that’s discovered everyone can work on a proper plan. 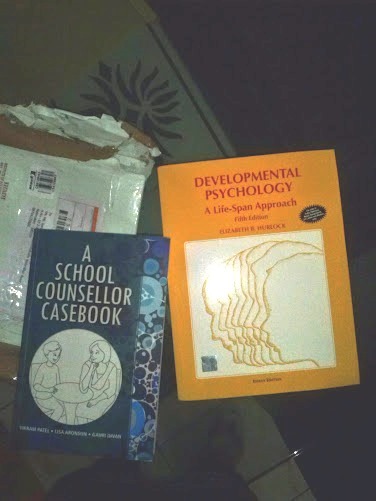 Some schools have an educational psychologist or counselor who takes care of such students, build a good rapport with the school counselor they can be great assistance in helping you parent better and know how good you do your job. We all could use some counseling once in a while. Point number three, don’t worry if your child “only” scores 98/100 when he’s in 4th grade!. Children are only children when they play and explore their surroundings. What childhood stories will they have if they never had fun, never enjoyed school, seldom played out in the sand, never spent endless hours with friends, never got called out for pranks?! All these experiences will mold the child into a strong individual who will learn from his mistakes, and be clear of his boundaries. Point number four, Don’t fret going to offices of psychiatrists, making your child pop pills because he’s “hyperactive”, Hyperactivity is a term being used very loosely these days, ADHD is a disorder of a severe caliber, every child who jumps and is active is NOT hyper. Be very educated about these things before you self-diagnose your child, and don’t let anyone but a certified experienced psychiatrist do that. Be very clear about who has the authority to prescribe medicines, and how much experience they each have in their field. NEVER hesitate for more explanations, if the concerned counselor/psychologist/psychiatrist truly understand the child they will be able to prescribe less aggressive methods of dealing with the childs problems. A child behaves a certain way due to a zillion reasons, you will surprised what these turn out to be, sometimes it’s a very petty misunderstanding or could be a severe emotional trauma from the past no one knew about. These and many other phenomenon effect the childs performance and behaviour at school, putting a label of a disease on a child is a big deal, it will scar him for life. Counseling helps the child to unveil these hidden feelings and everything can be taken from there. 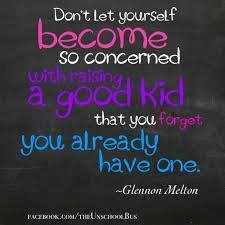 Parenting is not easy, no one prepares you for it, no one will every be able to. At the same time it doesn’t have to be a pain you regret! Do your best, hope for the best and be positive! All children are special, all are beautiful beings including yours!